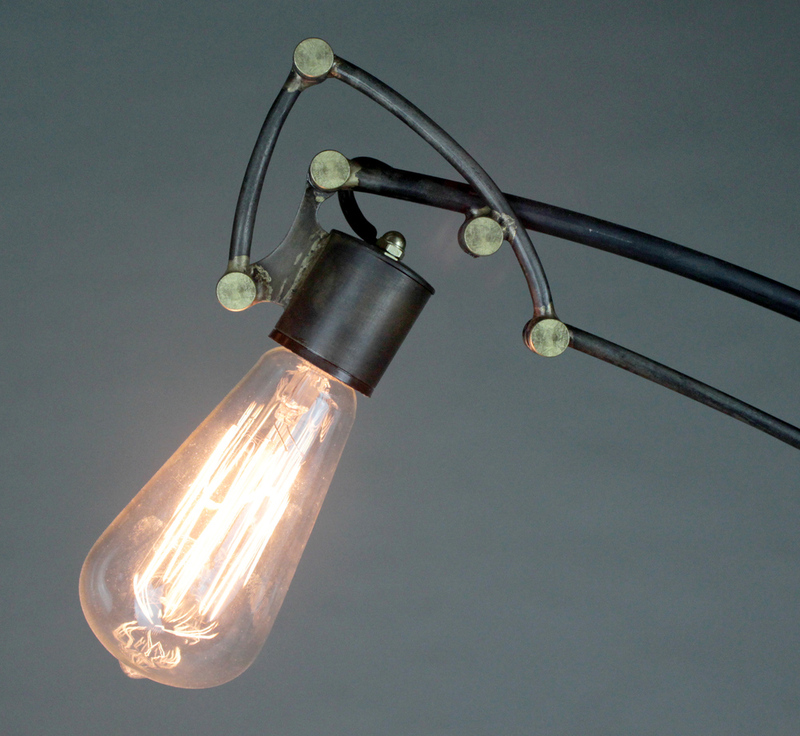 This Mechanical Lamp has two primary positions. At rest it is as you see it above, with the Edison-Style bulb held upright and low. But when the lever is moved, the cantilevered arm sweeps upwards, and the bulb is rotated underneath, to shine on the tabletop from above. This movement is acheived from a trio of four-bar linkages, each one necessary to give the bulb almost 200 degrees of movement from one extreme to the other. Another lever turns the lamp on and off. 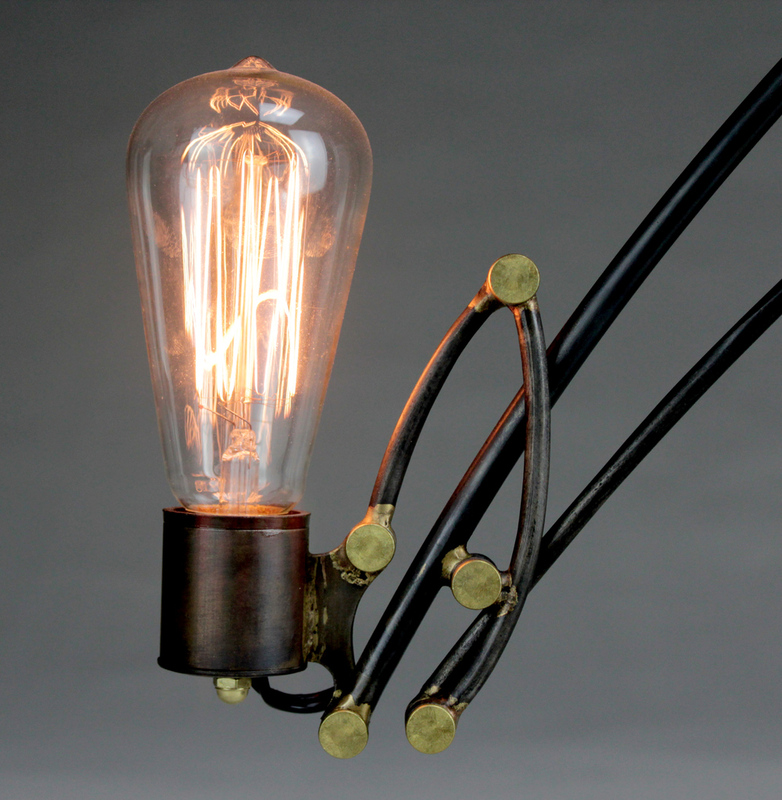 The construction of this lamp is slim and clean: all solid steel rod and tube, with brazed joints and brass rivets for a little color. 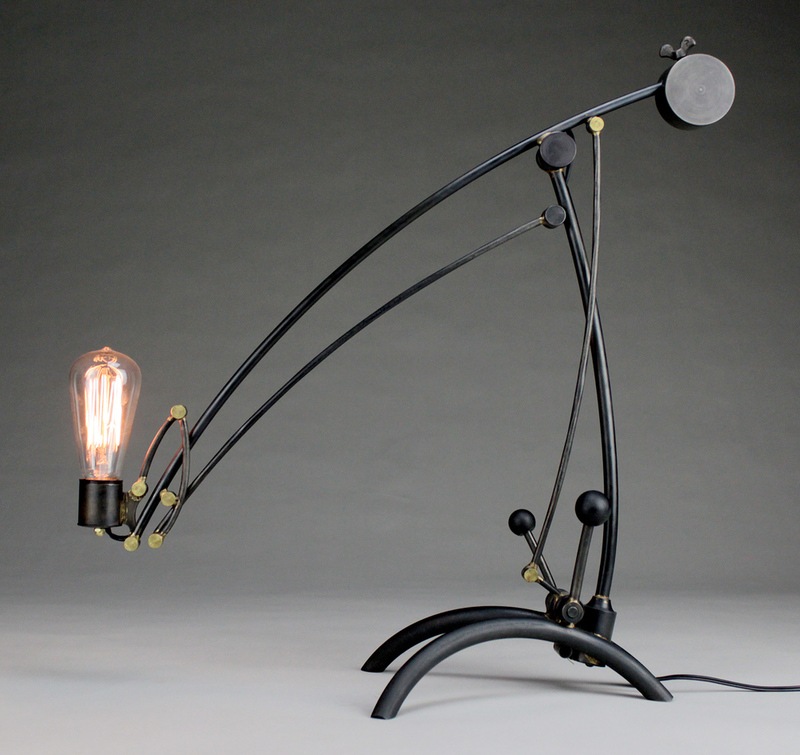 I am producing this lamp as an edition of ten. Please contact me for pricing and shipping information.